Lovely card, Jen. So pretty with the soft Oxides on Kraft. Beautiful card Jen love the look of these flowers on Kraft cardstock. Hope you enjoy your break over Easter. A beautiful card and those oxide inks look great on kraft card. I hope you manage to get some crafting time in soon. So pretty...love how you used the Distress Oxide! Just perfect! WOW ! This is absolutely gorgeous Jen ! 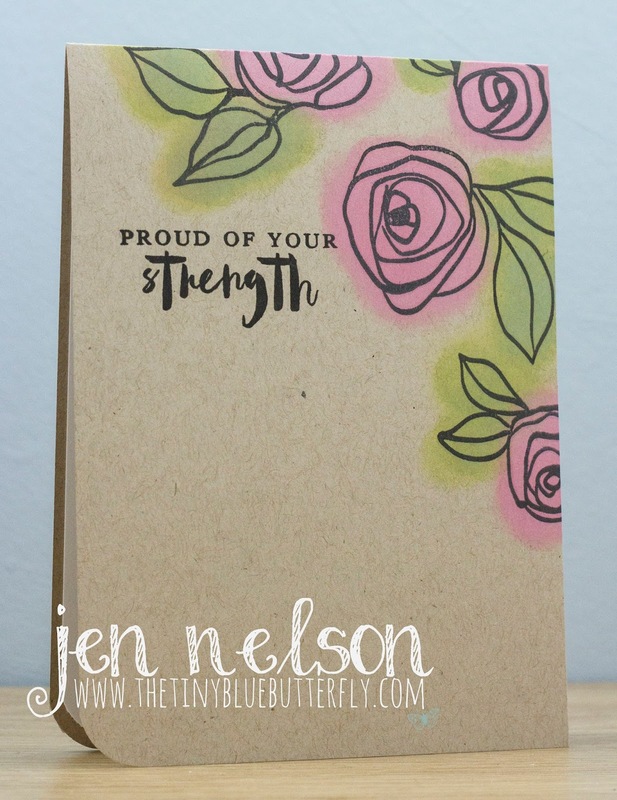 I love how you made the roses with the ink going out off the outlines !These inks look great but it is another NEW stuff which is not good for my wallet ! Absolutely stunning layout too on kraft paper, I love it ! Thanks for sharing and for inspiring.